The root of the problem, he taught, is a deep ignorance about the nature of happiness and suffering and their causes. 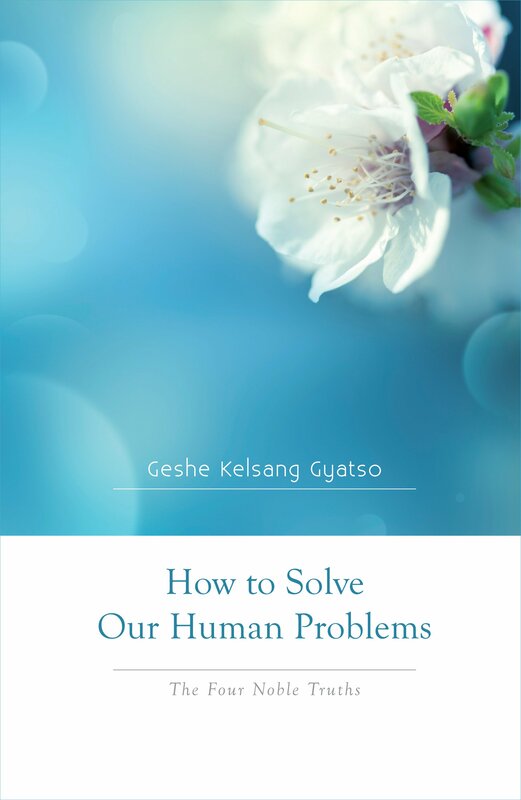 In How to Solve Our Human Problems, Geshe Kelsang explains with characteristic clarity how we can easily apply this teaching to our modern day lives and begin to experience the taste of true, lasting happiness. 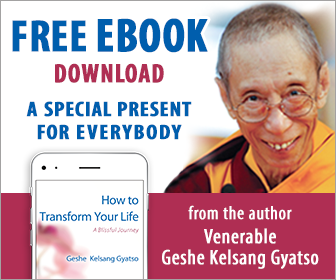 The book also contains an exceptional section on how to overcome our anger problem. Anger is particularly destructive in relationships. When we live in close contact with someone, our personalities, priorities, interests, and ways of doing things frequently clash. Since we spend so much time together, and since we know the other person’s shortcomings so well, it is very easy for us to become critical and short-tempered with our partner and to blame him or her for making our life uncomfortable. Unless we make a continuous effort to deal with this anger as it arises, our relationship will suffer. A couple may genuinely love one another, but if they frequently get angry with each other the times when they are happy together will become fewer and further between. Eventually there will come a point when before they have recovered from one row the next has already begun. Like a flower choked by weeds, love cannot survive in such circumstances. In a close relationship, opportunities to get angry arise many times a day, so to prevent the build-up of bad feelings we need to deal with anger as soon as it begins to arise in our mind. We clear away the dishes after every meal rather than waiting until the end of the month, because we do not want to live in a dirty house nor be faced with a huge, unpleasant job. In the same way, we need to make the effort to clear away the mess in our mind as soon as it appears, for if we allow it to accumulate it will become more and more difficult to deal with, and will endanger our relationship. We should remember that every opportunity to develop anger is also an opportunity to develop patience. A relationship in which there is a lot of friction and conflict of interests is also an unrivalled opportunity to erode away our self-cherishing and self-grasping, which are the real sources of all our problems. By practicing the instructions on patience explained here, we can transform our relationships into opportunities for spiritual growth. It is through our anger and hatred that we transform people into enemies. We generally assume that anger arises when we encounter a disagreeable person, but actually it is the anger already within us that transforms the person we meet into our imagined foe. Someone controlled by their anger lives within a paranoid view of the world, surrounded by enemies of his or her own creation. The false belief that everyone hates him can become so overwhelming that he might even go insane, the victim of his own delusion.